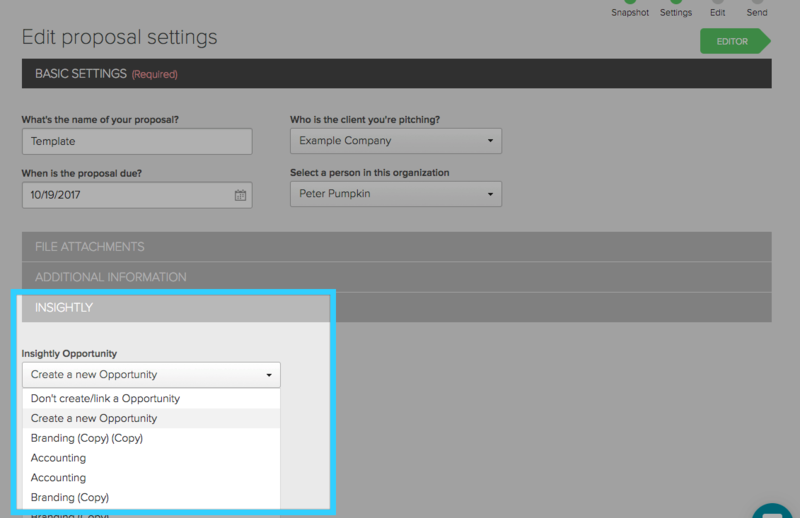 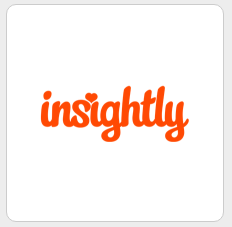 You'll need your API key from your Insightly account, which can be found in your user settings near the bottom. 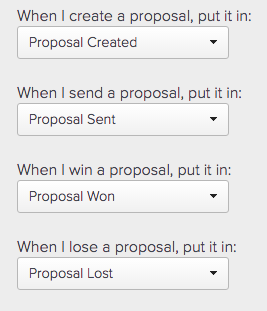 When you create a proposal, you can choose to not link that proposal, have it create a new opportunity or link to an existing one. 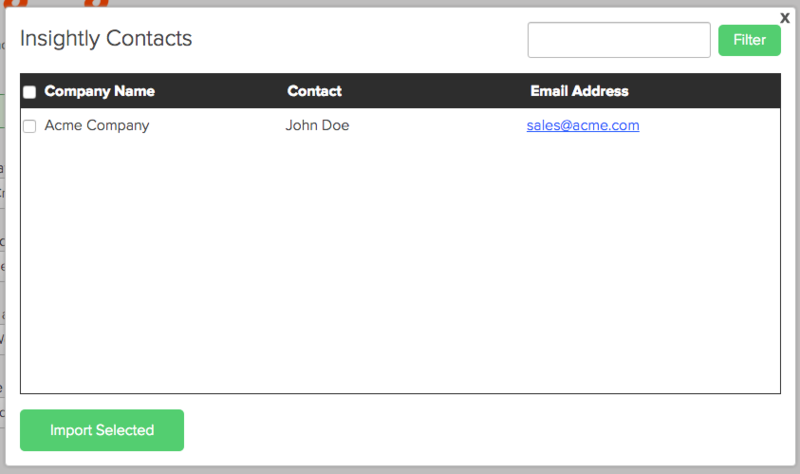 All from the Insightly integration drop down.